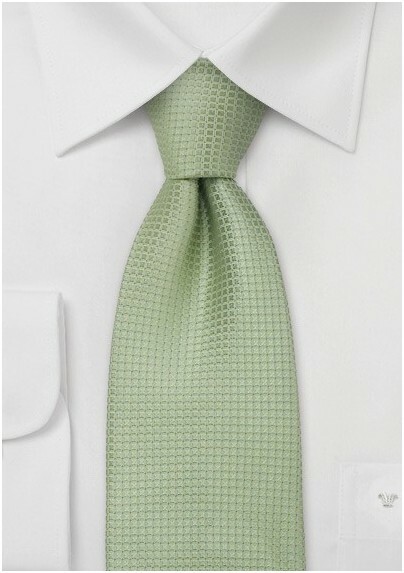 Rev up you seasonal look with this fashionable and wearable textured tie in a lovely shade of pistachio green. This versatile and savvy shade of green has a perennial aesthetic that looks sharp all year around. Create a casually refined look that will collect its fair share of compliments by teaming this tie with a check patterned dress shirt and khaki colored cotton chinos. 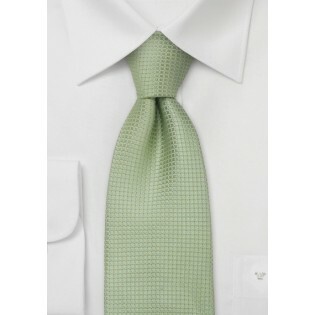 Designed by Parsley and crafted from one hundred percent excellent grade silk.